Stunning volatility is the new fact of life” that defines our age. Financial markets fall off cliffs one day, but then stage a recovery the next, only to do it all over again. The switch back and forth is emotionally draining, making us susceptible to irrational responses that can turn manageable problems into huge personal crises. 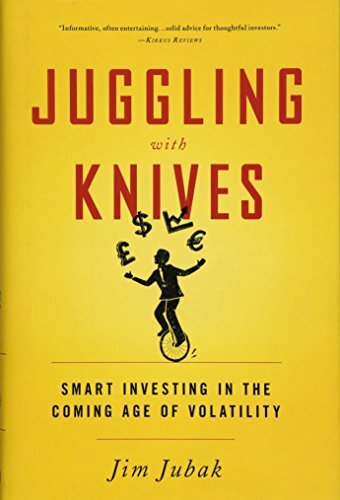 But while there is danger in volatility, there is also the opportunity to profitably juggle the knives that volatility throws your waywith less risk than you might think.  and the large bill we will have for the consequences of environmental externalities such as climate change and energy uncertainty. Jubak analyzes these and other trends, providing practical insights and specific investing strategies that show investors how to respectbut not be scared ofmarket volatility, and how to make smarter investment decisions to profit from and hedge against it. If you have any questions about this product by PublicAffairs, contact us by completing and submitting the form below. If you are looking for a specif part number, please include it with your message.